I would like to hear your remarks, advice and wishes on the Forum, on the Portal Mod (Discussion tab) or on the Github. - What technologies open this recipe. 4) In order not to constantly press the same button (point 3), you can select the default button by ticking the corresponding checkbox. 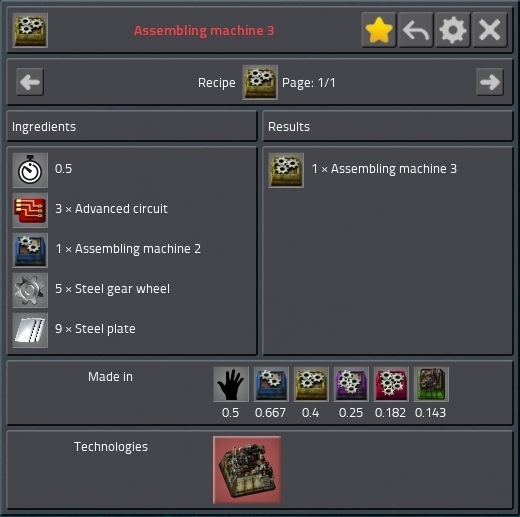 After installing the checkbox, immediately after selecting the item (point 2) you will receive a Recipe / Usage for the selected item. This search is performed by in-game names and may not display certain items. Please use the previous search method in this case. 3) We hover the mouse over the found item or liquid and press the right or left mouse button. 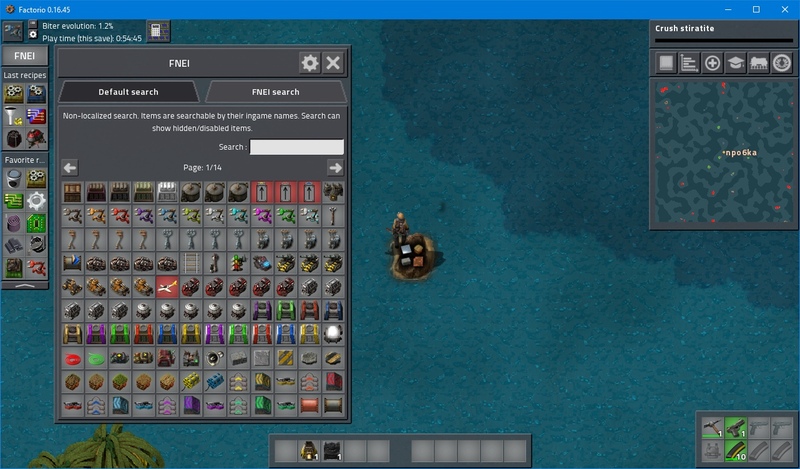 Recipes where the item or fluid is used as an ingredient (Right mouse button) or as a product (Left mouse button). 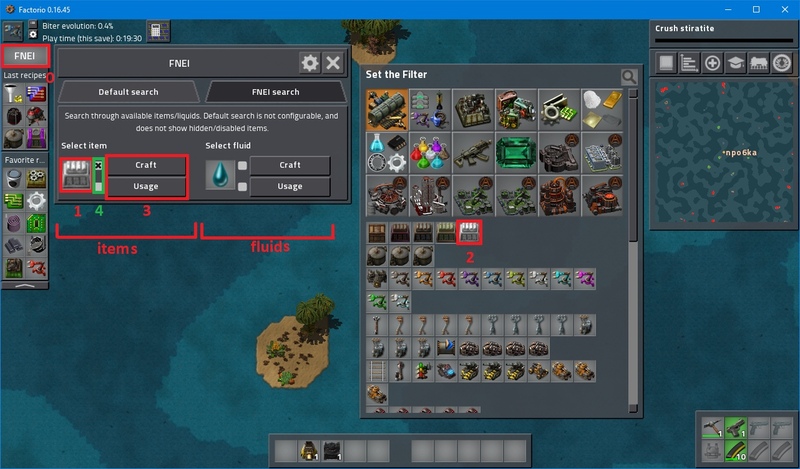 By analogy, you can open recipes for items and liquids displayed in gui recipes (first picture in this description).